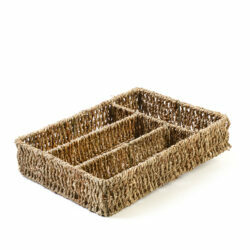 Providing an eco-friendly alternative to plastic, this set of natural baskets come complete as a set of 4. 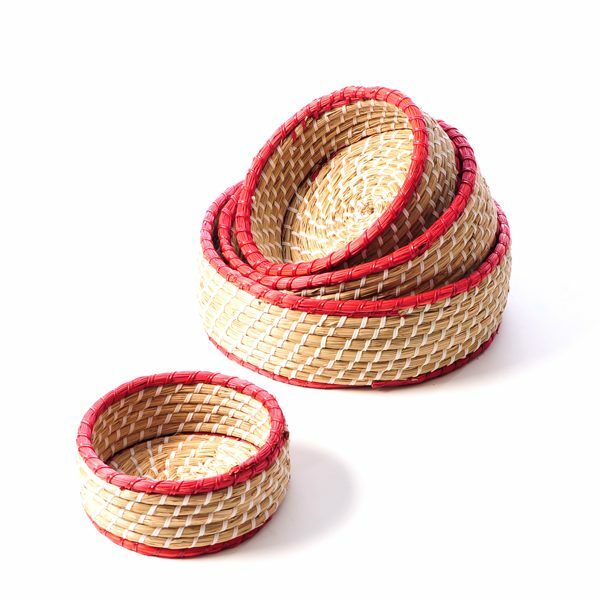 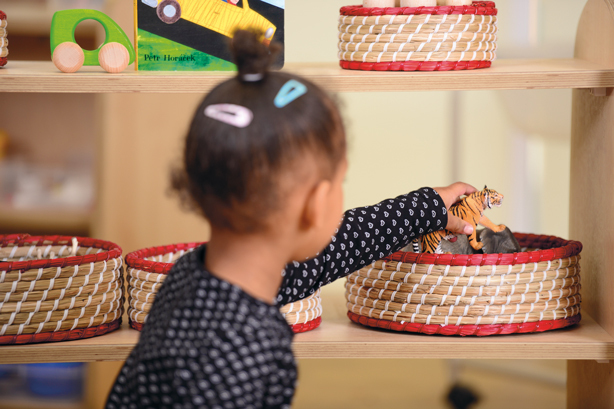 These baskets are hand woven, graduated and offer a softer, round shape for the display of small collections of soft resources and objects. 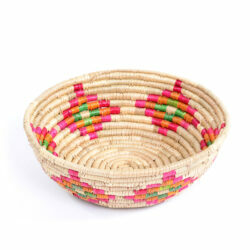 Their red trim offers a colourful alternative and the largest basket measures 29 x 29 x 10 cm. 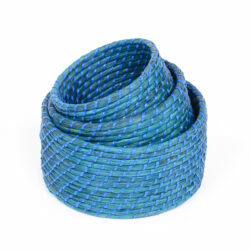 Dimensions: X.Large – D29cm x H10cm; Large – D25xm x H9cm; Medium – D21cm x H8cm; Small – D17cm x H7cm. 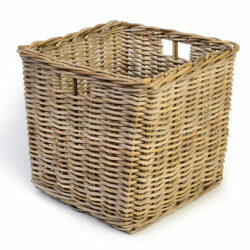 View our full collection of Natural Baskets.